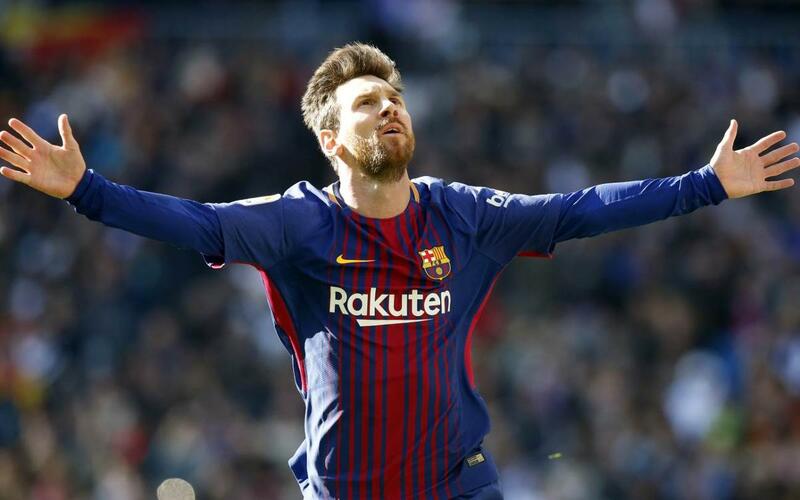 Real Madrid 0 Barça 3: Messi Christmas! FC Barcelona took all three points at the Santiago Bernabéu in a match which saw them win their third consecutive league El Clásico in Madrid, a feat never before achieved. Another clean sheet was the foundation on which the blaugrana built their stunning victory. A fast start from Real Madrid was expected, and that’s exactly what happened as Cristiano Ronaldo had the ball in the net after just two minutes. Fortunately for Barça, he was correctly flagged for offside. As the game began to settle down, most of the play was centred around a congested midfield. It would take until the 10th minute for the next chance to arrive, again falling to the Portuguese striker, who completely missed his kick when well placed. Barça continued to bide their time without taking any risks, and though their own goalscoring opportunities were at a premium, the visitors were able to keep the hosts at bay with consummate ease. Just on the half hour, Paulinho got in behind Real’s defence and only a spectacular save from Keylor Navas kept the game scoreless. Shortly afterwards Marc-André ter Stegen pulled off a wonder stop of his own, from Los Blancos’ busiest player Ronaldo. Barça’s Brazilian had another presentable chance as we headed into the break, whilst Karim Benzema’s free header grazed the outside of the post. The game remained an extremely absorbing watch with both teams able to turn defence into attack in the blink of an eye. The visitors imposed their possession game at the beginning of the second half and as the carousel turned, Real were carved open. Luis Suárez had already put a shot into Navas’ gloves, before Ivan Rakitic’s direct run opened up the space for Sergi Roberto to deliver an inch perfect cross to the Uruguayan, who made no mistake. A blatant handball from Dani Carvajal saw him sent off and the blaugrana handed a penalty. Leo Messi, with a record-breaking 526th goal, stepped up to put his side firmly in control. Pressure at either end in the last half hour saw more fantastic play from both sides but not even the introduction of Gareth Bale and Marco Asensio could see Real find a way through. Aleix Vidal’s late third put the gloss on a victory which takes Barça 14 points ahead of the defending champions. The team now have six days of rest before returning to prepare for the Copa del Rey tie against Celta Vigo. That takes place at the Estadio Municipal de Balaídos on Thursday, January 4, 2018, kick off 7.00pm CET.